Welcome to the world of Dave Benson Phillips! 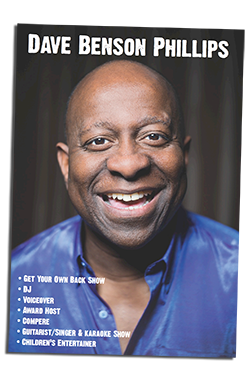 | Get Up and Go ShowGet Up and Go Show - Welcome to the world of Dave Benson Phillips! 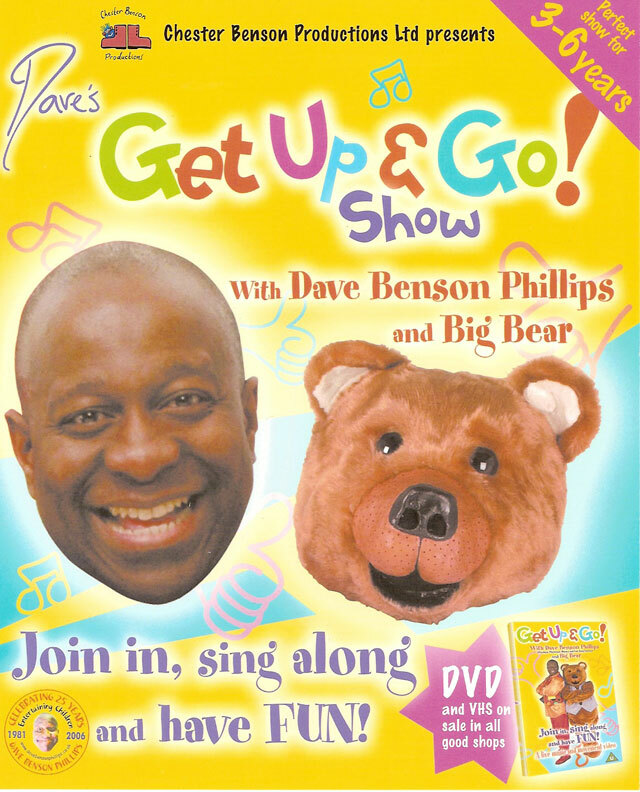 A live-version of the popular children’s video and DVD, ‘GET UP & GO!’ starring Dave Benson Phillips and his friend BIG BEAR. Plenty of songs to sing and actions to do in this fun-filled show for families with very young children. Example Songs: Head Shoulders Knees & Toes. Hokey Cokey! This show is ideal for theatres, arts centres & festivals. What are you doing at half term? !